Dimensions: 36 inches wide, 36 inches deep, 18 inches high. 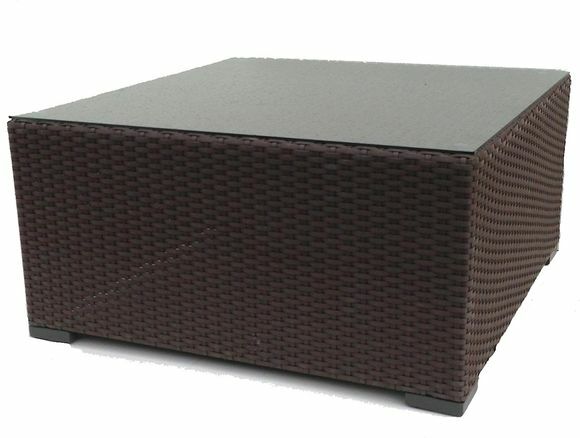 The outdoor wicker sectional coffee table is the must have accessory to go with your favorite "L" shaped sectional. Due to the size of this outdoor wicker table: it is the perfect height and size for entertaining multiple guests enjoying the outdoor wicker sectional. If you lift up the glass top on the table you have a solid outdoor wicker weave base. 36 inches wide, 36 inches deep, 18 inches high.